AOMA is well-known in its field for attracting a highly diverse student body consisting of gifted practitioners with a wide variety of backgrounds under their belts. Many students come into their studies having already obtained a background in a particular healing modality or healthcare field. Many students at AOMA studied Western medicine in nursing school and obtained a strong background in nursing before they decided to advance their careers with Chinese medicine studies. We interviewed them to share their knowledge and stories around returning to school after receiving a nursing education, as well as their thoughts around combining the two very complementary modalities. I have been very interested in alternative medicine for years and have been wanting to gain education and training in other modalities of healing. My children are older now, and I thought it was a good time to go back to school now that they are more self-sufficient. Why did you choose AOMA? AOMA is a highly ranked and highly respected school for TCM. They are accredited, and I was impressed with the herbal program as well as the other classes offered. What is your nursing background? I taught nursing school at Galveston College, worked in ICU, obtained a master’s degree in administration, and then a master’s in nursing anesthesia. I currently work as a certified registered nurse anesthetist at the office of a local plastic surgeon, providing anesthesia for her patients undergoing surgery. How has your background in nursing impacted your experience as a student/practitioner of Chinese medicine? In some ways I think it has made things a little more challenging, but it has made it easier in other ways. I had a difficult time at first with the concept of "organs" in TCM and how different it is from Western medicine. I often thought I was memorizing "facts" that were not really facts at all, but odd theories. I decided to suspend judgment and just learn all that the instructors had to offer and sort it all out in the end. This has been working well for me so far. The fact that I am familiar with anatomy, physiology, physical assessment, and other biomedical subjects has allowed me to skip the biomedical courses, which gives me time to continue working. This is a huge plus, because I refuse to take out loans to pay for school. What has your experience been like as a student of Chinese medicine? I love most of the instructors and others who work at AOMA. I am learning so much. It can be hard to balance school, work, and family, but I believe it will be worth it. If AOMA would offer some of the courses online, it would make things so much easier to juggle. What advice do you have for other nurses returning to school? Be ready to learn things that are very different from what you have been taught in the past. Be ready to be challenged in the area of time management if you are going to work while in school. Give yourself permission to be less than perfect as you juggle job, studies, home, family, etc. I returned to school to shift my life practice of helping others into a more holistic direction. There were many factors, some of them more logistical, like family, a great job market, and that AOMA is in a counter-culture-strong city. The main thing that drew me to Austin was how strong AOMA is into integrative medicine, how they are research-driven, with several experienced teachers, and aligned with other healthcare disciplines. I believe every facet in healthcare needs to engage with the others in a harmonious and collaborative way to bring about the best results for the patient. Emergency medicine, chronic pain/rehab, and hospice/palliative care. It helped to already have strong assessment skills and be informed on pathology and pharmacology. That is something that people who are just entering patient care struggle with in the beginning. 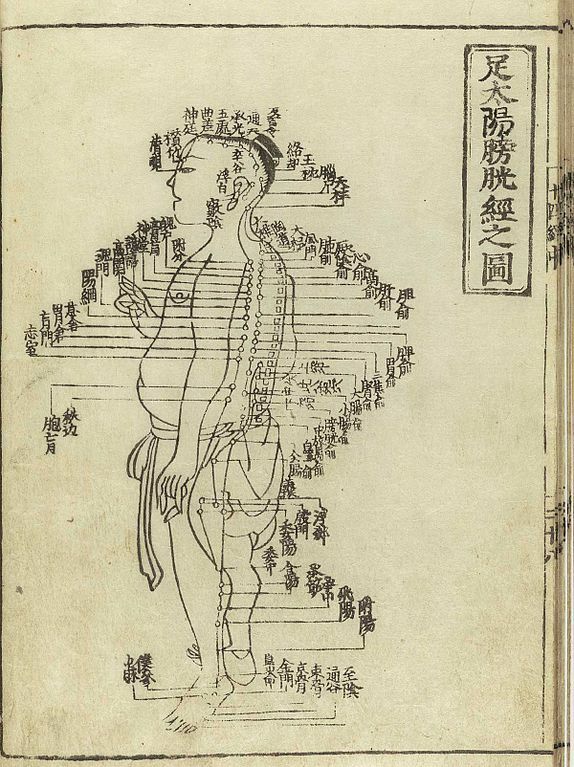 It has been a challenge to start seeing medicine from the Chinese theory angle, but now I am a lot more empowered, being able to view disease in two or three different ways according to theory. It is like looking at different surfaces of a gem. I find that people are also uncomfortable speaking with acupuncturists if they don't have Western medical experience. For me, that is something to worry less about. I have had a great experience. There are great teachers here, and AOMA is very supportive and full of a lot of good people. Jump on board! Keep up your nursing skills, and see how you can keep helping people, but in an expanded way. I have always enjoyed helping others and have been particularly drawn to assisting in the healing process and gaining optimal health. While nursing has been a wonderfully rewarding career in many ways, working within the confines of the hospital setting and having only medical interventions and pharmaceuticals as my ways of treatment were not completely fulfilling for me. I knew there was a more natural way to heal (and prevent illness). The feeling that something was missing prompted my path to delving into natural medicine. Since I was already living in Austin and wanting to continue my work part-time as a nurse while going to school, I knew I wanted to choose a school in Austin, if possible. After doing some research I was delighted to find out that there were two acupuncture schools here. I have an acquaintance who was going to an acupuncture school, so once I had set my sights on a career change I talked with her about her experience. She told me she was going to AOMA, and she had nothing but positive things to say about the school. After that, I set up a tour of the campus with the director of admissions. After learning more about the program, I knew that AOMA was where I needed to be. I immediately felt like I was in the right place. Call it a hunch. And of course the school's outstanding reputation in the field didn't hurt, either. I graduated with my bachelor's in nursing from the University of Texas at Austin in December 2006. I started out working full time in Labor and Delivery prior to going back to school at AOMA. Once I started classes, I continued to work, but on a part-time level. Today I am still working at the hospital (but less frequently), in addition to my work as an acupuncturist. Having a nursing background had been extremely helpful when going through the program. You start off with a base knowledge of anatomy and physiology, disease processes/medical conditions, and pharmaceuticals before you even begin classes. Some of my bio-med classes also transferred, and I was able to get credit for them, which helped in lightening the course load and the financial burden of grad school. Aside from that, nursing helps you develop your interpersonal and diagnostic skills and gives you a leg up once you start treating patients in the student clinic. Now that I'm practicing, my clients are always interested in my work as a nurse and how I integrate both medical models. Being a nurse makes you a ‘familiar’ person in the eyes of people who are new to Chinese medicine. I have personally witnessed it reduce anxiety and increase receptiveness in clients once they realize that I also have a Western medicine background. What has your experience been like as a student and alumna? As a student I was probably a bit frazzled while going through the program (as were many of my classmates, I'm sure). Working part time while taking a full load of classes was hard, but I'm glad I continued my work in nursing while going back to school. The program at AOMA is rigorous but rewarding. As an alumna I have been fortunate in many ways. Continuing my work in the hospital allowed me to have a "career cushion" during the transition phase after graduation. I was able to have an income while determining what my next step would be (which was truly a blessing). I am now happily practicing acupuncture at a clinic in Austin that specializes in fertility. I’m working with a wonderful team of skilled practitioners. I am also continuing my work in Labor and Delivery a few days a week. If natural medicine is something that interests you, then AOMA is a great place to find what you've been missing. Western medicine and Chinese medicine go hand in hand. It's wonderful being able to practice and have a solid knowledge base in both fields. AOMA has an incredibly diverse student body that consists of gifted practitioners with a wide variety of different histories, ethnicities, and hometowns. Many students come into their studies already having obtained a background in a particular healing modality or healthcare field. Specifically, a great deal of talented massage therapists have chosen to further their education by studying Chinese Medicine and herbal medicine at AOMA. We decided to interview them and share their knowledge and stories around returning to school after receiving massage training and combining the two complementary modalities. Returning to school was always part of the master plan. My decision to get my massage license was to assist me in being able to pay the bills while returning to school, but the Universe must have felt I wasn’t ready to do that for another five years because, I wasn’t generating enough cash to make it easy to drop down to a part time worker and a full time student. Also, I still had a young child at home which required more home responsibility. It has the reputation for being a good school and it’s regionally accredited which is an important factor for licensure. I had looked at another school in Hawaii because a friend had recommended it, and I thought with the amount of projects, friends and adventures I had going on, living here in Austin would make it very difficult to study and do well. Plus, it was Hawaii, need I say more? But my child did not want to move to Hawaii. So, when I let go of the idea of moving to there, staying in Austin and attending AOMA just clicked. I had an “Ah-ha” moment and after that, the process unfolded quite easily. What is your background in massage therapy? I have worked in the clinic setting at Collette Zygmonts Chiropractics and 27 Bones podiatry clinic. Polished my spa skills at the Woodhouse Day Spa and The Austin Omni Downtown. I have done volunteer work for Power to the Peaceful in San Francisco. I have offered massage at yoga conferences such as Bhakti Fest in Joshua Tree, and Tadasana Fest in Santa Monica, California. I have also had my own practice for the past 8 years. How has your massage therapy background impacted your experience as a student/practitioner of Chinese medicine? As a bodyworker, I felt like I had worked through the initial awkwardness of working rather intimately with other people’s bodies – some times total strangers – so I was able to hop into the role of being a practitioner fairly smoothly. I had also developed a relationship with the anatomy of the body through massage and so this particular aspect of learning at AOMA, whether it be locating the acupuncture points by way of feeling them with my hands or understanding verbal description of body landscape. Also physical assessment and Anatomy and Physiology classes were a bit easier because I had already studied those as part of the massage school curriculum. What has your experience been like as an acupuncture student? I have had a great experience. There are great teachers here and AOMA is very supportive and full of a lot of good people. 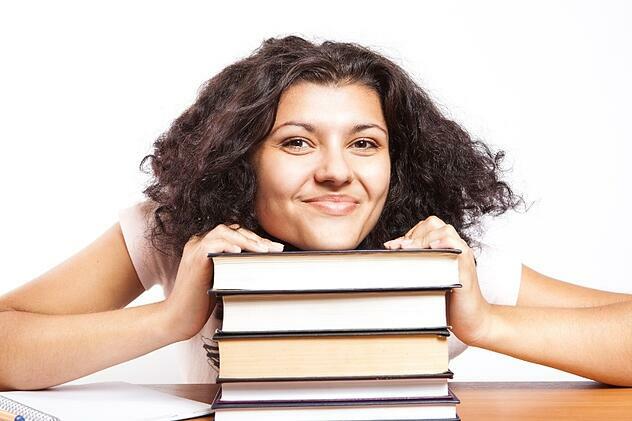 What advice do you have for other massage therapists returning to school? 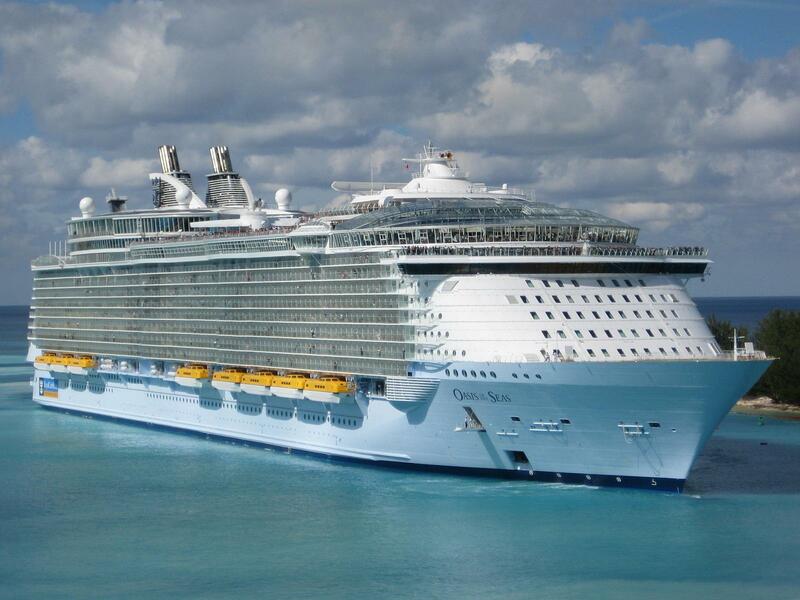 Jump on board! Keep up your massage therapy skills, and see how you can keep helping people, but in an expanded way. The physical nature of doing massage full-time for many years lead me to realize that I was going to need to return to school for something more sustainable. I was in the process of applying to law school when I became a patient of TCM. 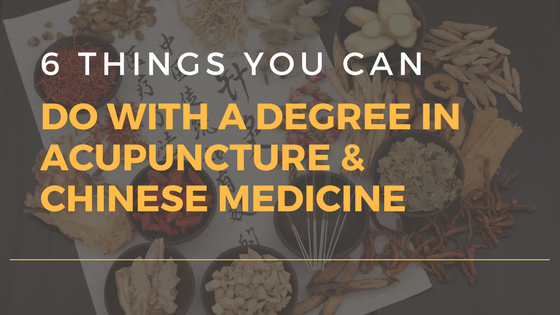 The experiences I had with my acupuncturist (who was also a licensed massage therapist) really opened up my interest in TCM and showed me that what I really wanted was to continue my path in the healing arts. After reading “The Web That Has No Weaver” and “Between Heaven and Earth” at his suggestion, I was fascinated. The rest is history! I transferred to AOMA after realizing that I wanted my TCM education to be strong in both herbs and acupuncture as well as containing biomedical integration. I received my training from The New York Institute of Massage. It’s a very medically grounded, and oddly enough, Shiatsu heavy curriculum. After graduating, I followed my passion for medical massage but quickly found that I was experiencing very powerful energetic experiences with many clients. This led me to discover Reiki and I am now a Certified Level 1 practitioner. Over the course of my career, I also absolutely fell in love with Ashiatsu. I took an advanced Ashiatsu training in 2011 and have been working almost exclusively in this modality ever since. It’s a technique where you hold onto bars suspended from the ceiling and massage clients with your feet! AWESOME! I was a small business owner as a massage therapist, but I also networked with a lot of other therapists and healthcare professionals. I think this has prepared me well for the realities and logistics of setting up a successful acupuncture practice. In terms of clinical context and patient care, I’ve had the honor of building very profound therapeutic relationships with my massage clients. These relationships have taught me a lot about working with different personality types, energy profiles and dynamics in order to achieve therapeutic results. Each patient teaches me how to be their healer and in return, this process makes me both a more skilled practitioner and a more compassionate human being. All of the interactions and lessons learned (both successes and failures) doing massage inform my current interaction with TCM patients. Studying TCM has been both a challenging and gratifying experience academically, personally, professionally and spiritually. It has fundamentally changed the way I see and interact with myself, others and the world around me for the better. Studying TCM will be challenging but it will be worth it! 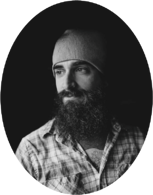 Everything you already know tactilely and intuitively from being a bodyworker will apply and be an advantage to you (and your patients), especially when working in clinic. An education in TCM will help you master powerful healing tools that will be able to impact state change in patients on a level that massage therapy alone has difficulty achieving. Studying TCM will deepen your ability to help others as a healer. When I was a kid I watched Kung Fu movies all the time. In one of my favorites, "Hard to Kill" with Steven Segal, not only did he use acupuncture on himself with smoke coming off the ends (what I now know is moxa) he said, "anyone can hurt someone, it takes a true master to heal." That was the first time I really became inspired to learn about Oriental Medicine. Years later, while studying Martial Arts, my master was able to not only kick through baseball bats but also help heal his students with Tui Na, acupuncture and massage. That was it! I figured I had learned how to fight long enough and would learn to heal people and myself. The next step for me was obvious: to get a feel for the energy and mechanics of the body with massage therapy before furthering my education with Oriental Medicine. Step one: check. 1. The credits I receive from AOMA can be transferred to a credited University. 2. The number of clinic opportunities and community outreach they provide. 3. The professionalism with which I was received the first time I walked in the door. What is your background as a massage therapist? I have been a massage therapist for 6 years. I received my license in Lake Charles, LA, at the Louisiana Institute of Massage Therapy. The owner of the school was Susan Salvo, who literally wrote the book on massage therapy. (Seriously, most schools in the U.S. use her book. ) After I graduated, I got a list of every massage therapy place in town and began calling them asking for a job. After a few days, I started at Massage Clinique and apprenticed under a talented sports and deep tissue therapist. Next, I got a job at Lake Charles's claim to fame, Lau Berge du lac, the local casino. I worked there for 4 years before moving to Austin. While in Austin, I have worked at Woodhouse Day Spa, Hess Chiropractic, Massage Harmony and am currently employed at what has become literally one of my favorite places to ever work: milk + honey day spa. In that time, I have had training in: Repetitive Use Injury Therapy, Medical Massage, Supreme Science Qi Gong, Reiki, along with a myriad of spa treatments. Massage therapy has helped me in so many ways as a student of Oriental Medicine. I am comfortable doing intakes with clients/patients. I am aware of my energy and the energy of others, and how they can affect one another. I have become familiar with insurance billing and other administrative aspects of the business. From intake to treatment plan, the process is similar whether giving massage or performing acupuncture. The most important impact massage has had on my Oriental Medicine skills is my sensitivity to touch, feel and palpate. It will be my hands and my ability to feel that guide the needle. My experience at AOMA has been awesome. I came in as a transfer knowing about three people, and my first semester landed me in about 4 different cohorts. Lots of people to meet. In every class I felt welcome and am grateful to have had the opportunity to meet so many people in such a short time. With just a few terms in, it already feels like home. As far as academia, the school is legitimate. A serious endeavor with four years and a big chunk of change. Massage Therapy has been great to me while in school. It has given me a source of income and allowed me to feel more bodies as I learn a new art. If you are coming into Oriental Medicine school, be aware that it is much more intense than massage therapy school; a longer time and financial commitment. When I first looked into Oriental Medicine school I had no idea of the intensity that would ensue. Think of getting a master's degree in any other subject: it is like that. So, if you're thinking of studying Oriental Medicine, get ready for some intense awesomeness. This schooling has brought my knowledge to a level that I thought I could only find being trained by a sage on a mountain in China, and I still have a year left. My advice... if you're interested in studying healing arts for a good portion of your life, sign up. I decided to return to school because I felt that during massage sessions the body was communicating more information to me than I had skills to interpret. I felt like there was more I could be doing for my clients if I could only learn how to understand better the feedback that the body was giving me. So, I decided to try and expand my knowledge through acupuncture, which has proven to be very useful. I also returned to school because after five years of practicing massage it was beginning to take a toll on my body. So, I wanted something I could do that would be a nice addition to my massage practice but would also give my hands and body a bit of a break. I chose AOMA because they have a strong herbal program, they have a great national reputation, and because my acupuncturist at the time recommended it to me, despite graduation from another school. Once, I visited AOMA I was sold on the good energy, friendly people and nice learning environment found on campus. I graduated from The Costa Rica School of Massage Therapy in 2007. From there I went on to work in several different environments, from spas to wellness centers as well as having a small private practice on the side. The type of massage I enjoy the most is integrative deep tissue and CranioSacral work. My massage background has helped me greatly in the clinical setting, and has enhanced my learning process. Already being comfortable touching and talking with people has helped me to be able to dive right in and focus on the Chinese medicine theories, without worrying about developing those basic skills. Being a student at AOMA has been life changing. It has been a challenging, but also very rewarding experience. What about complimenting someone’s gallbladder when they accomplish something brave? Probably not, right? This saying, often heard in China (and AOMA’s classrooms), has its foundations in the Traditional Chinese Medicine concept of the gallbladder as the source of courage and judgment. Attributing emotions, bodily manifestations, and physiological functions to organs is an important aspect of our medicine and an incredibly informative lens through which to view the body. The Zang-fu consist of eleven organs in total—five of which are considered Yin in nature and six of which are considered Yang in nature. 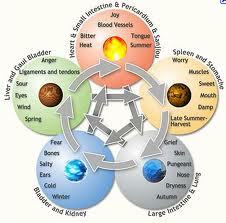 The five Yin organs—Liver, Heart, Spleen, Lung, and Kidney—are referred to as the Zang. The Zang are solid organs and are responsible for the generation and storage of Qi, Blood, Body Fluid, and Essence. Every organ has unique characteristics and functions. They are also said to “open into” certain body parts (thereby controlling that body part’s functioning) and manifest in others. Each Zang is paired with a Fu—one of the Yang organs. The Fu organs are hollow. They primarily receive and transport food and water throughout the body. These more active functions are the reason they’re considered to be more Yang than Yin. The organs and their pairings are listed below. I t is important not to conflate the TCM organ with the Western anatomical organ. For instance, the Spleen in TCM isn’t necessarily the organ that filters the blood. 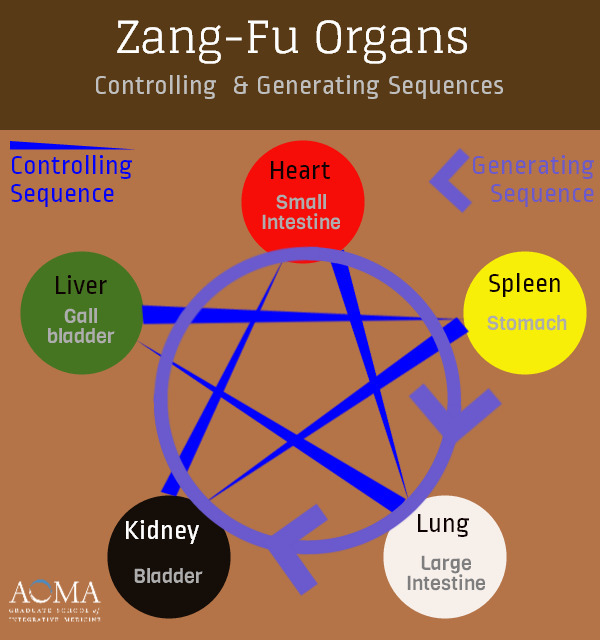 Some features do overlap—for example, the Heart being involved with blood —but it’s best not to think of the Zang-fu as literal organs, but rather consider them figurative entities. These controlling and generating sequences are used to visualize the source(s) of pathological conditions and can be used to approach a treatment. For example, it is said in TCM that if an element (or organ) is in excess, an acupuncturist should “sedate the child.” So, if the Liver organ was hyperactive in a patient, the acupuncturist may choose to sedate the Heart. The Zang-fu system is an incredibly important and consequential method of TCM diagnosis: It influences the diagnostic decisions, treatment plans, herbal prescriptions, and overall understanding of acupuncturists and herbalists the world over. The Zang-fu organs (including the Pericardium) also constitute the twelve primary acupuncture channels and are consequently used on a daily basis by most practicing acupuncturists. Take a moment to review the Zang-fu system and soon you will discover an entirely new way of viewing the human body. The theory of the natural elements is an enduring philosophy across cultures, appearing in separate countries in vastly different eras around the world. The ancient Greeks used the five elements of earth, water, air, fire, and “aether” (quintessence/spirit) as a guiding principal to better understand the universe. Both ancient Egyptians and Buddhists understood the elements as fire, water, air, and earth. Hinduism utilizes the five elements (earth, water, fire, wind, and “aether”) as well. 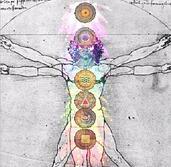 In fact, the seven chakras pair with Hindu and Buddhist five element theory. Western astrology also makes use of the four classical elements in astrological charting. In Traditional Chinese Medicine (TCM), Five Element theory (also called Wu Xing) is a powerful, foundational lens through which medicine, our bodies, and the world at large can be viewed. Fire, Earth, Metal, Water, and Wood are understood to be the Five Elements in TCM. Each element is awarded a number of characteristics and correspondences. They all have their separate natures, movements, directions, sounds, times of the day, and much more. Similar to Yin Yang theory, many specific aspects of life and the world can be attributed to a certain element. In addition to these basic qualities, the elements also correspond with certain internal organs, tastes, emotions, and sense organs in Traditional Chinese Medicine—a very important feature of the theory with great implications to the medicinal practice. Below are the Five Elements and their commonly discussed and widely held attributes. In TCM, the Five Elements are dynamic: they create, control, and constantly interact with each other. Each element is said to generate—give rise—to another element. This generating sequence is a type of “mother-son” relationship, where the parent gives life to and nurtures the child. In Five Element theory, Fire generates Earth. Earth generates Metal. Metal generates Water. Water generates Wood. Wood generates Fire. One jumping off point for remembering this sequence is to think of how rubbing twigs (ie: wood) together can create fire. Additionally, each element controls and is controlled by another element, creating a system of checks and balances. Ideally, this system guarantees that one element will not over-dominate another element for any lengthy period of time. The controlling sequence is as follows: Fire controls Metal. Metal controls Wood. Wood controls Earth. Earth controls Water. Water controls Fire. An easy way to begin memorizing the controlling relationships is to think of how water can easily douse—control—fire. Disturbances in these natural generating and controlling orders give rise to pathological symptoms. For instance, if the Wood element is too excessive in the body it may begin “over-controlling” the Earth element. This is a common pathology in clinical practice. One way it can be used is to understand why feeling excessively angry (Wood’s emotion) can give one a stomachache (the Stomach is one of Earth’s organs). These symptoms are intricately analyzed in AOMA’s didactic classes and utilized to great effect in clinical settings. Even without going into the depth required in Chinese medicine school, however, Five Element theory can provide structure to our daily lives, an understanding of the interconnectedness of our planet, and a richer appreciation of our bodies. Put simply, the Five Elements can be seen as a natural law of the universe. 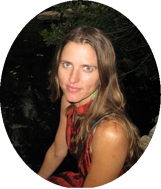 About the author: Carly Willsie enjoys putting Yin Yang theory into practice as an acupuncture school student and tutor. Carly grew up on a dairy farm in upstate New York and has a background in journalism and publishing. The introductory tenets of Yin and Yang are among the first subjects AOMA students learn in Chinese medicine school. 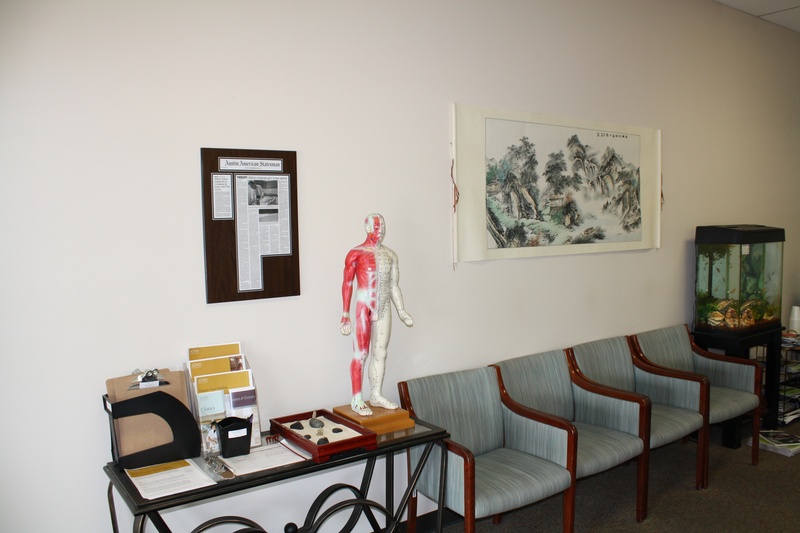 The theory is one of the foundational principles of Traditional Chinese Medicine and its elegant wisdom guides students throughout their years at AOMA and acupuncture school. When we hear the phrase “Yin and Yang” many of us may first think of the Yin Yang symbol so ubiquitous on key chains, college posters, childhood doodles, and t-shirts throughout the country. The theory of Yin and Yang is much more profound than an image on an old t-shirt may lead you to first believe, however. This ever-present symbol is called the Taijitu. 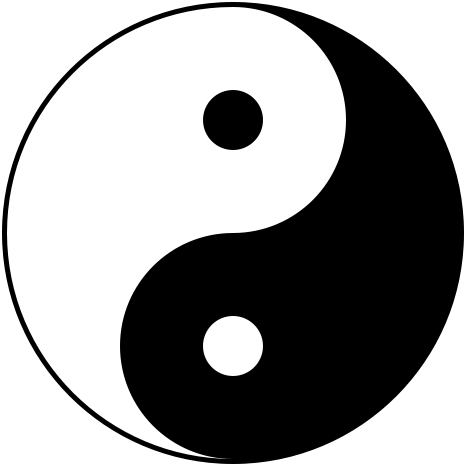 It’s the universal symbol for the theory of Yin and Yang and of Taoism. Though Yin and Yang can be understood individually, they cannot exist separately. They might seem like opposites—and do typically represent two different sides of one coin—but their properties are actually complementary and dependent on one another. This indivisibility is a central aspect of Yin and Yang. Without Yin, Yang cannot exist. Without Yang, Yin is not present. Yin and Yang are inseparable; just as we cannot have only sunny days throughout the year, we will not only have cloudy either. Another important element in Yin Yang theory is the concept that Yin and Yang can change into one another. Clouds can give way to sun in the same way that Yin can be transformed into Yang. Within Yin, the seed of Yang exists; within Yang, Yin is always present. This dynamic balance between Yin and Yang is represented in the Taijitu symbol by the small circle of opposite color within each half. As a consequence of this nature, Yin and Yang can be divided infinitely. For instance, we might say that a cloudy day is Yin while a sunny day is Yang. However, we can divide the cloudy day into Yin parts (the nighttime of the cloudy day, as an example) and Yang parts (the morning of the cloudy day). We can then further divide the Yang (morning) part of the cloudy day into Yin and Yang, and so on. Yin and Yang is a theoretical way to understand the natural dualities present in our world, our relationships, and within ourselves. The simple wisdom gained through an understanding of Yin and Yang enriches our lives and constantly reveals itself in our medicine and personal experiences. Applying the theory of Yin and Yang to our everyday living is simple and rewarding. Recognizing the natural ebb and flow of our world will allow you a comfort in your current circumstances and in your future, while providing an illuminating viewpoint from which to see our Yin and Yang world. 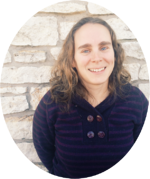 Carly Willsie enjoys putting Yin Yang theory into practice as an acupuncture school student and tutor. Carly grew up on a dairy farm in upstate New York and has a background in journalism and publishing.